Stated today. I had purchased the wood packs and could not find F3 in pre-cuts. Thought I was going mad but it is actually missing from the CNC Sheets. No problem as there seems to be enough wood to build from the plan but really should have been included. Looks to be an omission. Not opened mine yet but will take a look in the morning. Can't start mine until I have finished covering my current project. 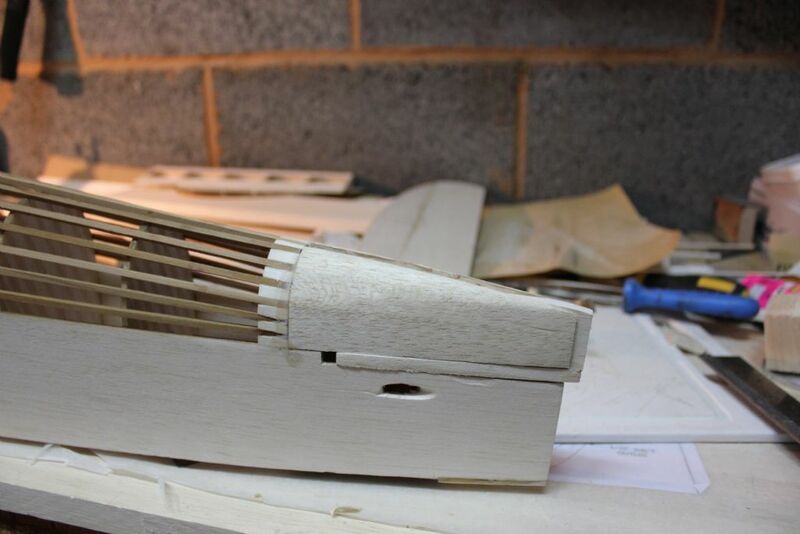 This is my other current Project (Seagull Bucker Jungmeister). Having to juggle which takse priority. This photo was a dry fit and I'm at the point of rigging it. No F3 in mine either, not listed but as you say not a problem as there appears to be plenty of 1/8 sheet to cut one out. Going to do some surgery in that area to allow access for the lipo's probably change things around bit. 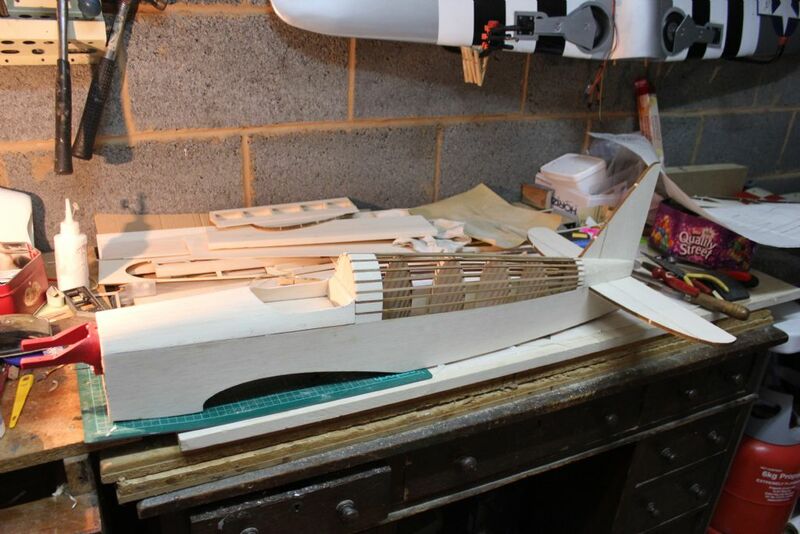 Well Ballerina build is underway. Originally I planned to use an OS48 but finally decided to borrow an OS52 Surpass from another project.. The 52 is la wee bit longer so elected to shorten the Fus sides at the nose by about 1/4inch to be able to keep things in line with Peter's plan. I an also inverting the engine as this will make the lines a bit smoother and make install easier on the eye. However I expect to make the lower part of the cowl removable (similar to PMs Werewolf plan which I built a while back in 2009). The removable cowl will help with maintenance etc. I have also made the tank access in F2 larger as I expect that the tank will need to sit a bit lower down due to carb being lower down. Taking shape very nicely! I see you are a "fuselage first" man like myself. 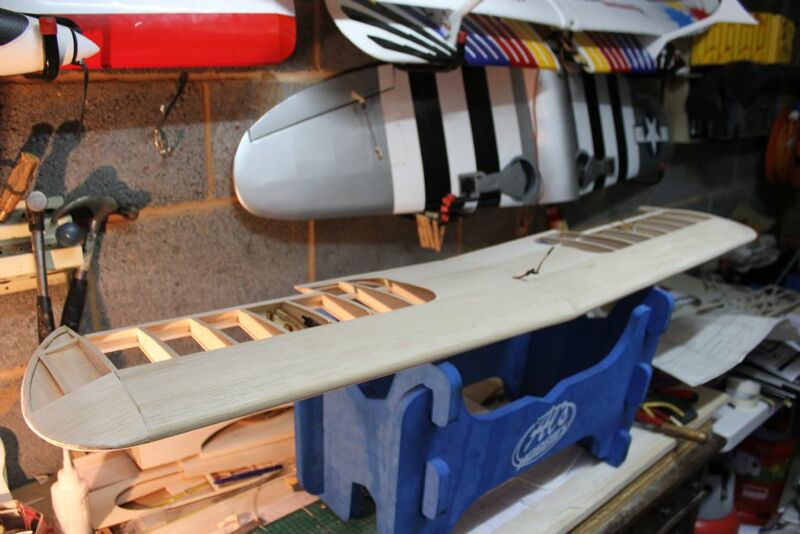 I've no idea why really, but I always build the fuse first, then the wings then finally the tailplane. 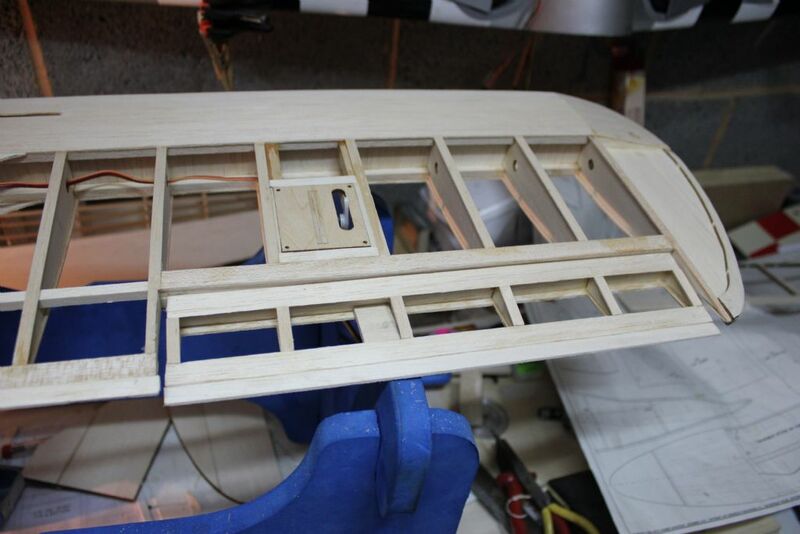 It might have something to do with the fact that of all the aspects of building the one I least like is wings! Which is strange from someone who's built a fair few biplanes in his time! 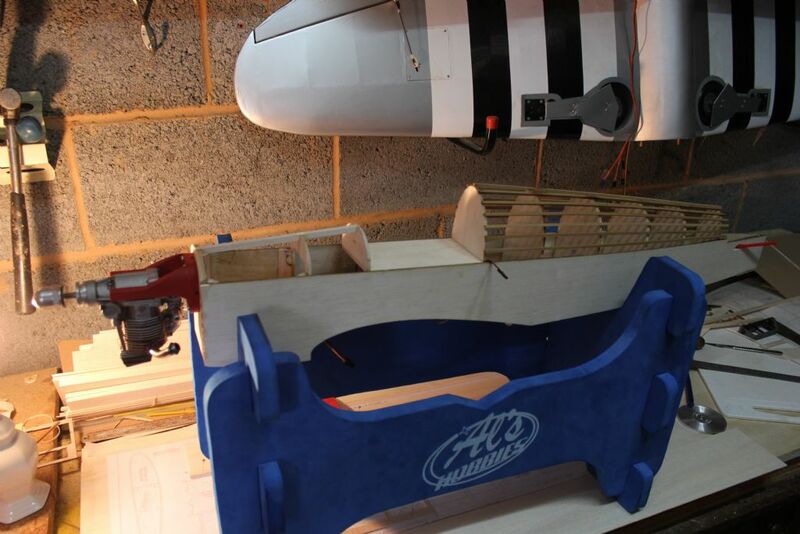 Yes always fuselage first as I like to sort the engine install and servos. Also you can sort out really important things such as Pilot and instruments. 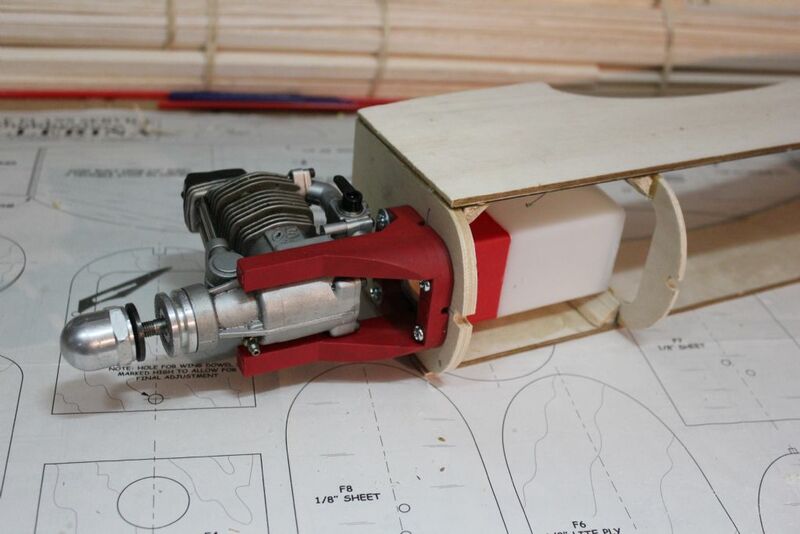 I'm also gong for mini-servos on the ailerons as I have some spare at the moment. If anyone has a spare OS52 I would love to get my hands on another. They really are good engines. Why on earth did OS cease production? If you market a consumer product Pete, you will eventually find sales will tail off a bit. It's at that point you have decide what to do. OS, like most other manufacturers will refresh their range to try to ensure it remains appealing. And of course they know that among the purchasers, past, present and future, there's always a good number whom just have to have that latest model...... I think they call it marketing strategy. I always felt the .48 surpass was a better engine than the .52, but that's just me. 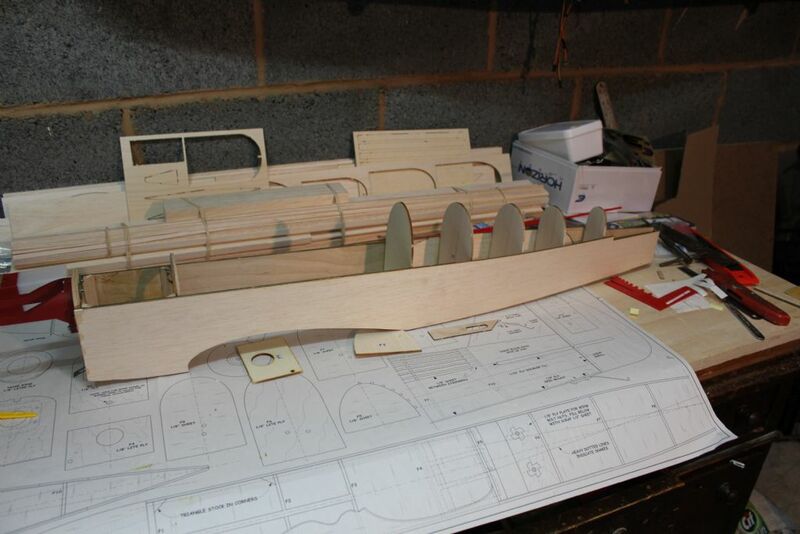 Fuselage progressing. 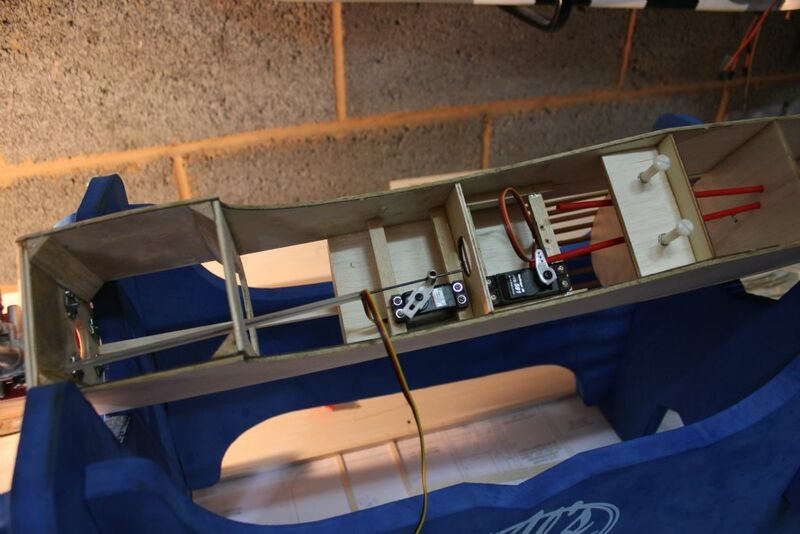 Servo rear stringers are fitted and servo positions sorted'. Wings now underway. 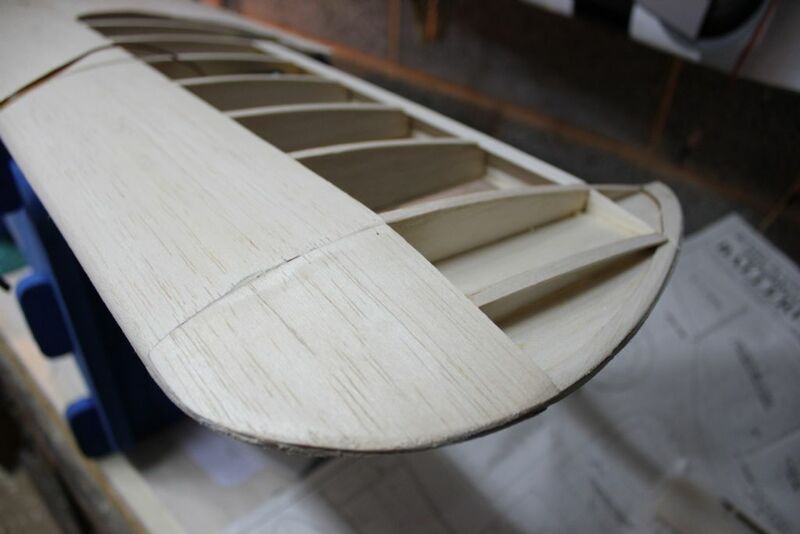 This is a trial fit of starboard wing ribs. I bought the CNC pack so progress is fairly easy. I went to Staples and go them to do a reverse print of the wing. 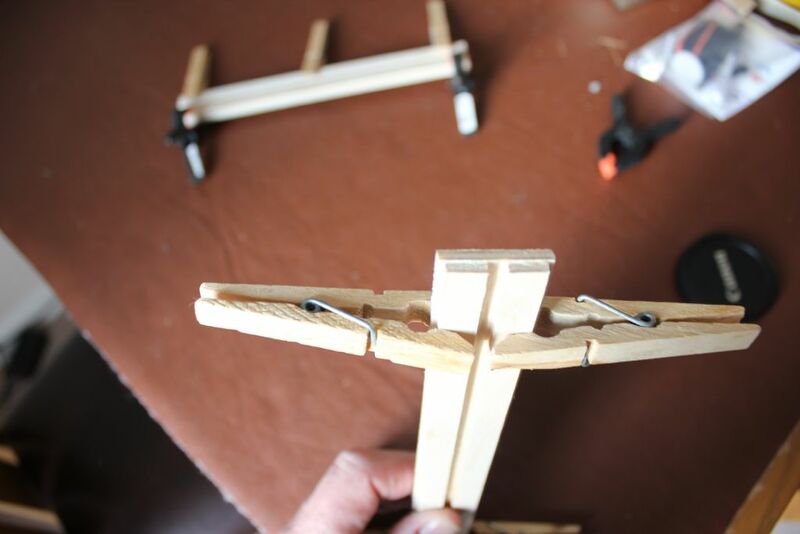 (thanks for the tip from one of the other blogs on that, very simple solution when building the port wing). Point noted on CNC parts. the ply doublers for UC block are sized incorrectly. They are too narrow so a mod will be required to correct the error. Ref CNC error on UC plate see photos below. The doublers (2 off) when positioned for 8swg U/C. Your pictures are tempting me towards this traditional build as good work always photographs well. The 48 could easily be 17 years old. I have one that I bought 2nd hand possibly 18 years ago. 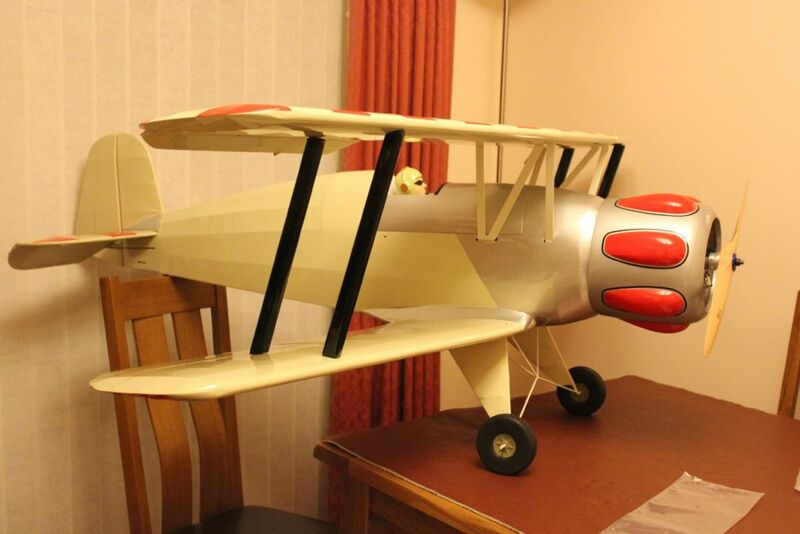 I decided to use a 52 as it was not in an airframe and my 48 was in a small Ripmax Tiger Moth which it suits very well. 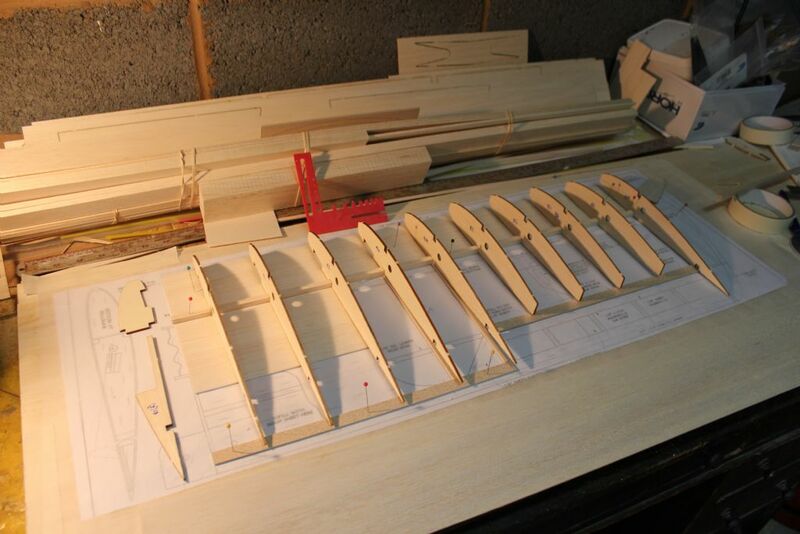 What is interesting is that my local model shop (Inwoods) say that they have had a run on small 4 strokes such as Saitos. I wonder if this could be related to the mass build? I'm sure I bought my first .48 Surpass in 1990, and I think they go back even a little earlier than that. Some parts for the .48 are getting a bit rare now, but the still current .40 Surpass has some parts in common with the .48 I believe. Coincidently with your comments on parts shortage, I was desperate for a new needle for the 48, and found a guy on the common auction site who had many spares, in Canada ! He was very reasonable and so too the airmail. There does, as you say, seem to be a revival in small 4 strokes due to these Mass Builds, as most you see, many have a 4 stroke at the front, negating noise issues to boot. 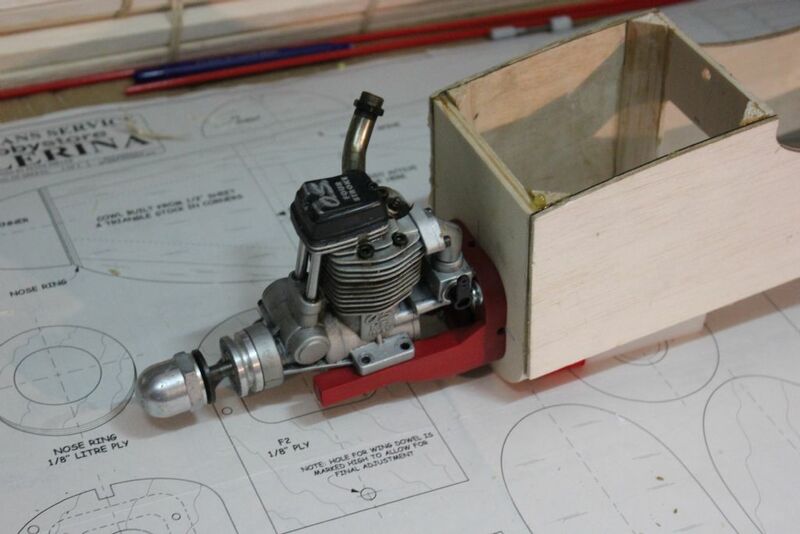 It is difficult to combine a better duo than balsa and an oily 4 stroke. Fuz is coming along now. Progress was held by wing. Just to add some comment ref wing. I am very pleased how this is turning out. Seems light and strong. Pete Millers method is great. I built a Pete Miller Werewolf a while back and that was great also. I am just starting my ballerina here in Johannesburg. Hi Tony. 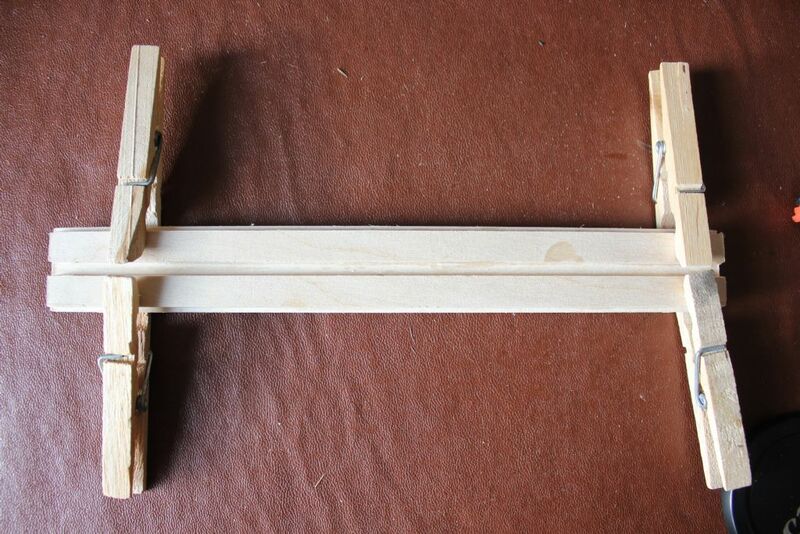 The Spars are 1/4" sq Balsa. Good luck with your build.